That's what Amazon, traditionally a retailer, has been deciding in recent years. That it's much more profitable to make and sell products, versus merely selling others' goods. While Amazon's private label products are already well known [AmazonBasics, Pinzon and others], and these compete with products from other sellers on Amazon, it's Kindle that has really pitched Amazon against some of the very sellers that Amazon's business depends upon. 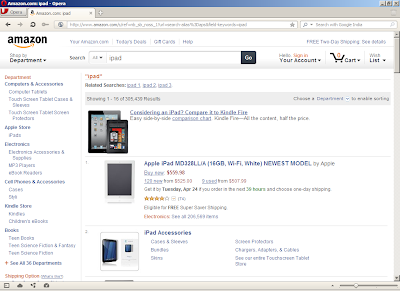 Look at the screenshots below [these and more documents are here on SkyDrive]. 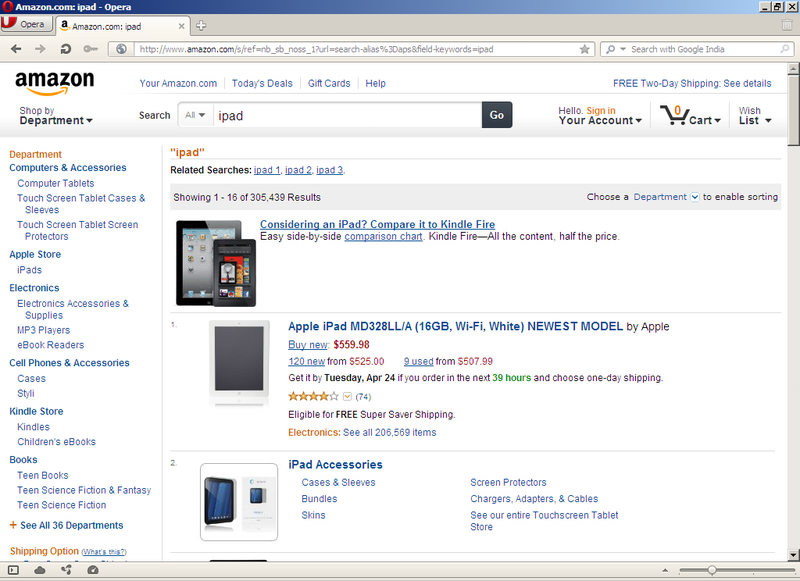 Amazon is actively trying to steer people looking for an iPad away from the iPad and towards its own Kindle. Now, Apple isn't too dependent on Amazon.com, so it shouldn't feel a lot of negative impact, but here's a worthy caution to those companies who are too dependent upon a single distributor/retailer - the channel partner could one day decide to sell its own products, effectively putting you in competition with it. Amazon's homepage heavily promotes the Kindle - Apple, et al., can do nothing about it. 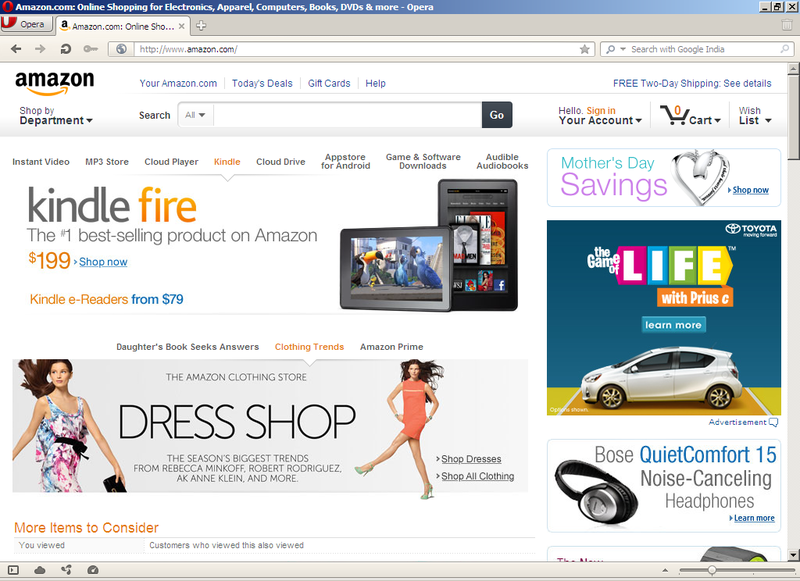 Amazon encourages searchers to look at the Kindle.